Journey up Australia’s west coast on this seven-day adventure as you take in the stunning wildlife, surreal landscapes, and fascinating natural history that imbues the area. This tour is only suitable for those aged 18 – 50 years old. Please include your date of birth in the notes when you book. This tour does require a moderate level of fitness, due to the walks and hikes during the tour. Luggage is restricted to a maximum of one 15kg backpack/soft travel bag and one hand luggage size bag. Sleeping bags are not available for purchase or hire. You will need to bring your own on the day of the tour. We can accommodate most dietary requirements with prior arrangement. Please let us know of any dietary restrictions at the time of booking. Hat, sunglasses, sleeping bag, bathers, 2 towels, water bottle (1.5L), sunscreen, insect repellent, small torch, warm clothing and rain jacket (winter), sturdy walking shoes, camera with LOTS of memory and battery. Join us on a journey up the West Coast of Australia on our 7 Day Perth to Exmouth Return tour for a real Aussie outback adventure. See the spectacular coastline along the way and enjoy opportunities to encounter charismatic Australian native animals. 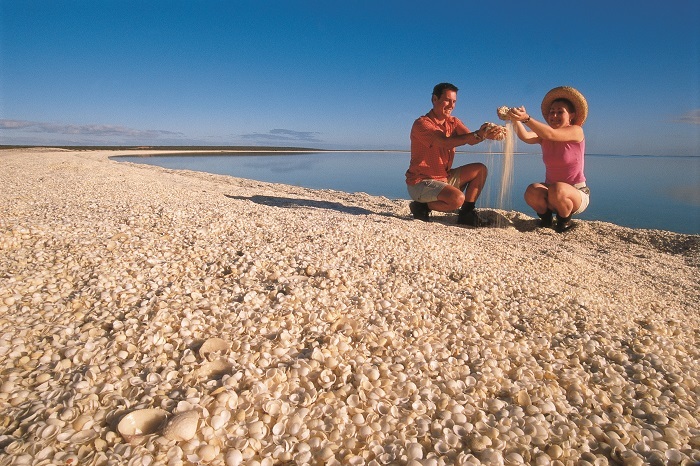 Explore the Cape Range National Park and be amazed by the rugged limestone ranges, drifting sand dunes and turquoise waters of the breathtaking Ningaloo Reef. 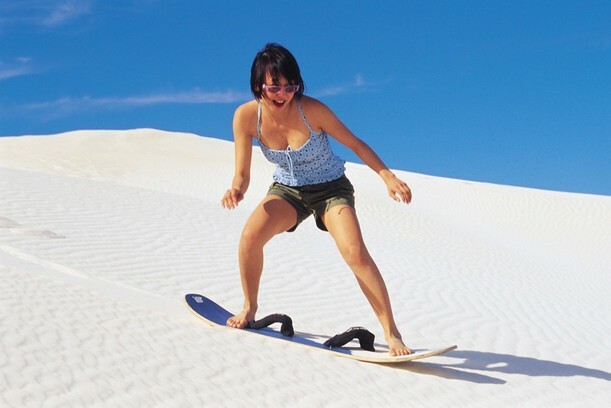 One the first day, we’ll kick things off in Perth and head straight to Lancelin Sand Dunes for some adrenaline-pumping sand boarding activity! 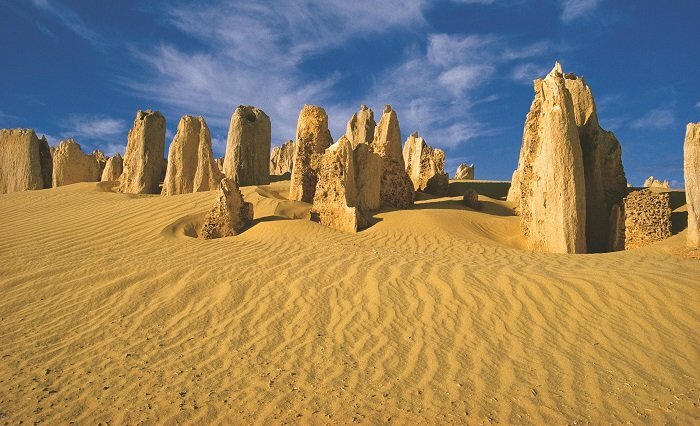 Followed by a guided tour of the unique landscape of the Pinnacles Desert in Nambung National Park. Marvel at the picturesque limestone scenery and enjoy lunch by the sea and charming town of Geraldton. Afterwards, we’ll make our way to quaint township of Kalbarri for our accommodation for the night. 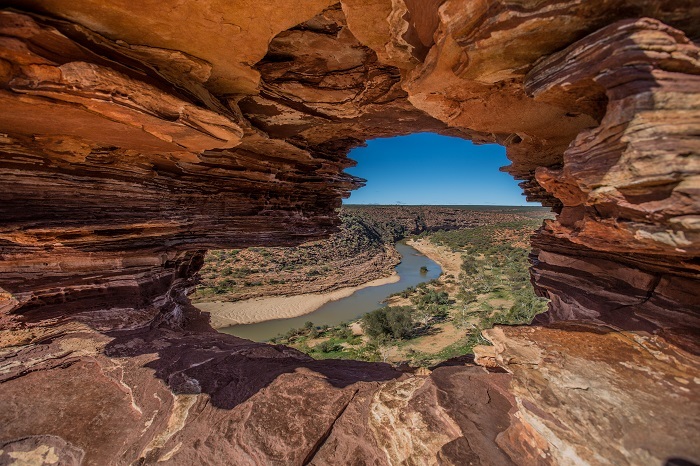 Day two starts with a trip to the Murchison Gorge, Natures Window, and Z-Bend in Kalbarri. Adventurous travellers might want to abseil into the gorge or simply kick back and relax with a swim in the river. Whatever you plan to do, we’ll head north in the afternoon to Shell Beach and Denham, where we’ll spend the night. 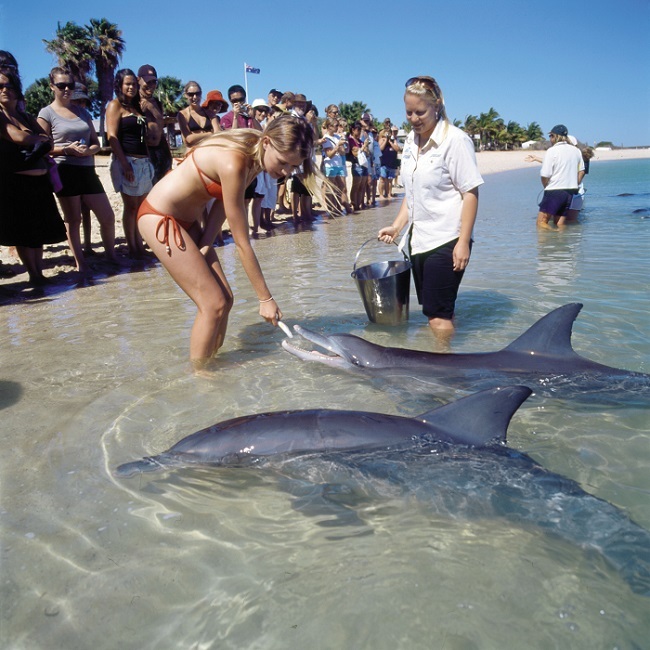 On the third day, you’ll get to experience the unique wildlife of the region by getting up close and personal with the famous Monkey Mia dolphins, taking a wildlife sail, or kayaking around the coastline. On the way to Coral Bay in the afternoon, we’ll stop off at the stunning Stromatolites before sleeping right on the famous Ningaloo Reef. Day four is free for you to explore at your own pace. Take in the many great activities Coral Bay has, whether that’s swimming, or taking a leisurely stroll along the beach. Optional tours can take you scuba diving, snorkelling or even swimming with the mysterious whale shark. As evening draws in, we’ll head up the coast to Exmouth for the night. On day five, you’ll have ample opportunity to discover Exmouth and the Cape Range National Park. Here, you can chill out on the beach, try some snorkelling, visit Vlamingh Head Lighthouse or explore deep canyons. For the final two days, we’ll make our way back to Perth, staying overnight in Kalbarri. We will stop in the quaint town of Carnarvon on the way and checking out the local banana or mango plantations (seasonal). 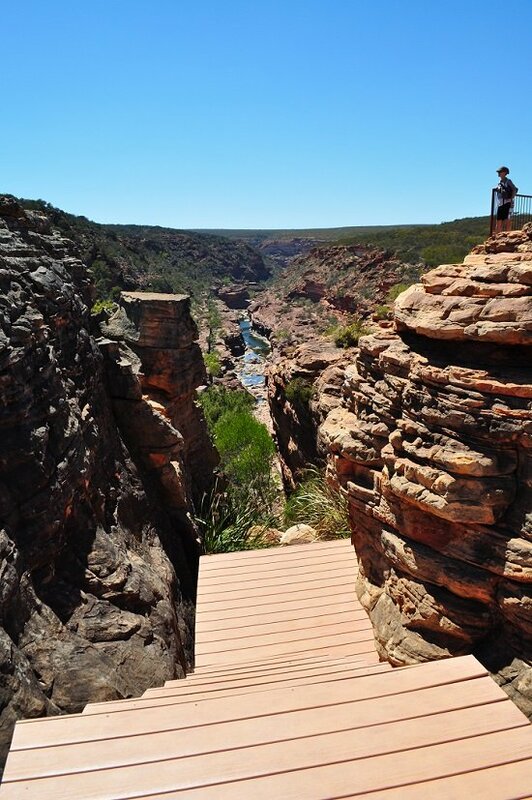 Continuing our journey back to Perth, we start early the final day to visit the Kalbarri coastal cliffs and Pot Alley to enjoy a picture perfect scenery of the boasting ocean scenery. We’ll finish our 7 Day Exmouth Tour with a visit to Greenough Wildlife Park, here you can hand feed kangaroos and learn more about Australia’s fascinating native creatures.